We are delighted to have a guest post from W. Ian O’Byrne this week on the intriguing topic of “Open Badges in Education”. Ian is an Assistant Professor of Educational Technologies at the University of New Haven. He is also a PhD candidate at the University of Connecticut and formerly a Research Fellow at the New Literacies Research Lab. His research examines the literacy practices of individuals as they read, write, and communicate in online spaces. You can connect with him on Google+, or on Twitter (@wiobyrne). One strand of current dialogue online and in the blogosphere revolves around the subject of Open Badges and their use in education. Over the past year I have been investigating the use of Open Badges in education and their possible use in a higher education program. There are challenges and opportunities involved in bringing an Open Badge initiative into a higher education program. This blog post represents my thought process up to this point in trying to think through this decision. The Open Badge initiative includes earning “badges” that are awarded by an agency or organization. The agency or organization could be your school, a club, or colleagues. The Open Badges represent what would be qualified as “good” work by the granting organization. As described by Mozilla and the MacArthur Foundation, Open Badges “provide visual representations of 21st Century skills and achievements.” Open Badges can then be proudly displayed across the web and on social networks of your choice. The Open Badge initiative has been a hot topic for discussion over the last year as the Mozilla Foundation, the HASTAC Initiative, and the MacArthur Foundation (along with many other brilliant people and organizations) launched a competition to develop these badges. In reviewing the Stage 2 Winners from the teacher competition, I quickly identified one of the winners of the competition that outlined a badge system that included the elements I value in digital media and learning education. The “Building Toward Mastery: Teachers and 21st Century Literacy Skills” submission from the University of Michigan, School of Information outlined a continuum in which learners build up their skills to the level of mastery of informational and digital literacy skills. The submission outlines the knowledge, skills, and dispositions that teachers will need to effectively include emerging concepts associated with 21st Century Literacy skills in inquiry based learning activities for students. What I like most about the “Building Toward Mastery” submission is the modular components of their badge system. The badge is comprised of multiple components that the teacher can build up over time, while understanding their own progress as they build toward mastery of 21st Century Literacy skills. As stated earlier, I have been considering the use of Open Badges and their ability to motivate, guide, and assess learning and mastery of informational and digital literacy skills. As coordinator of an Instructional Technology & Digital Media Literacy (IT-DML) program at my University, I have been thinking deeply about this concept and its relevance for our program as it starts up this summer. The IT-DML program will strive for an open source curriculum, and use free, Web 2.0 tools for all curricular materials and student work. The goal is to provide this work and output of the program free for use in classrooms all over the planet. 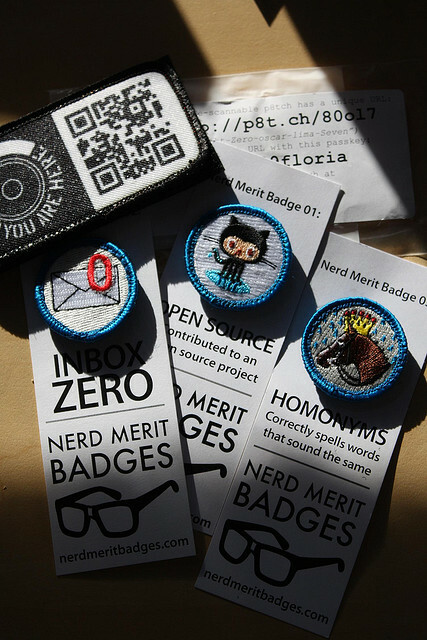 I would potentially see the Open Badges initiative playing a role in our program. The primary consideration in including an Open Badge initiative in the IT-DML program is whether or not the students and faculty would value the badges. During the first year of the program we will survey students to understand the value they would place in Open Badges as a supplement to grades in the courses. The concept of Open Badges and their role in education, and the IT-DML program specifically, has captured my imagination over the past year as I’ve read several blog posts unpacking the topic and potential consequences. I would suggest reading through several of these posts to gain a better understanding of the development of the Open Badges initiative. They have helped me think through these issues and gain insight into the value of badges in 21st Century learning. Insightful blog posts have come through my Google Reader feed over the past year by the following individuals: Bud Hunt; Tony Bates; Mark Surman; Andrea Zellner; and Doug Belshaw. .
As we come closer to the commencement of the IT-DML program, I’m leaning toward the involvement and granting of Open Badges as part of the IT-DML program. The rationale for this to me is very simple. I have been conducting research over the past couple of years in assessment of online reading comprehension and online content construction. One of the biggest challenges in using and assessing these literacies and skills is the complexity of online information and the fact that it is constantly changing. Additionally, in conducting research on the knowledge, skills, and dispositions students’ use in this informational space it is difficult to validly and reliably assess skill or quality. This point was hammered home to me by Dan Hickey in a 2011 session we presented at the American Education Research Association Conference in which he acted as discussant. He maintained that we were not actually assessing work, quality of work, or knowledge, skills, and dispositions in our instruments. Instead we were measuring the “residue of learning.” To me this means that the students had already come through, completed their work, and had moved on. The instruments that we had created were trying to inefficiently measure this learning by scraping up the learning that had already happened using multiple choice items, Likert scales, rubrics, or open response items. As a researcher and educator, I would like to more effectively and efficiently assess the quality of process and product of student work. For more insight into assessment of online literacies and the Open Badge initiative, please visit this post by Dan Hickey. The final sticking point for the use of Open Badges in the IT-DML program revolves around their authenticity and value to our students. Some of the critique of the Open Badges has been that they will be viewed as online “gold stars” for student work product, or that adults don’t need this form of motivation to complete work. In my mind the goal of the Open Badges would be two-fold. The first would be a better assessment tool to help guide and inform student work process and product. The second would be a form of “abstracted replay” in which students consider their own knowledge, skills, and strategies employed and then compare them to those that would be utilized by an expert. In this regard, abstracted replay is defined as a postmortem analysis, or comparative metacognitive activity in which students reflect on strategies employed during the work process and how these relate to those employed by an expert. To determine how authentic and effective the use of badges can be in affecting motivation and achievement, I’ll test it out in my own life. I’m in the process of trying to get back in shape and relieve stress. As part of this process I’m using an app on my phone called Runkeeper, which tracks your running, walking, and fitness activities. I also will be using Fitocracy, a fitness social network that includes elements of gaming to motivate individuals. For more information on Fitocracy please read this excellent post from Wired Magazine. Both of these apps use real world game playing, technology, and badges to inspire individuals to progress in their fitness routine. I’ll play with these two products to see how they support and motivate me as I continue on my fitness mission. This in turn will help me understand the role that motivation and Open Badges may play in education of the 21st Century student.